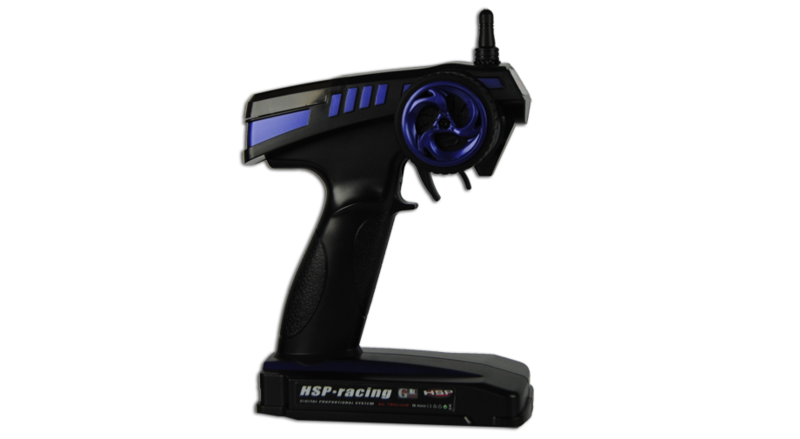 This is an extremely fast model with adjustable pro setup for race enthusiasts. 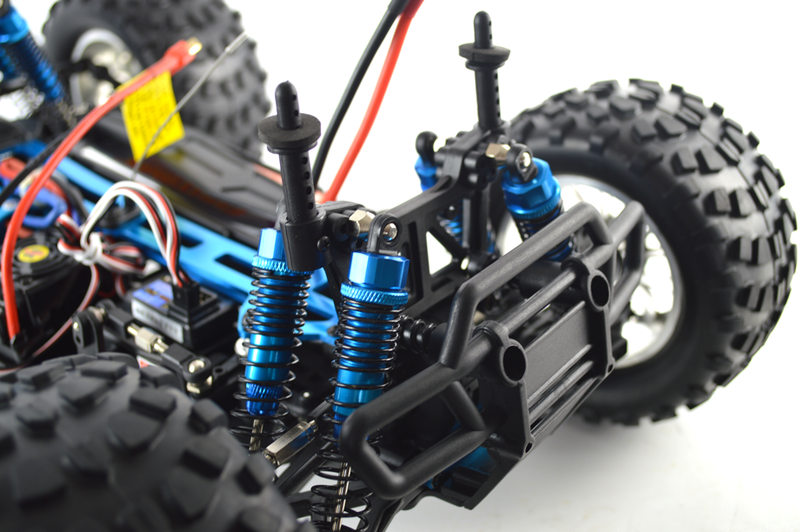 It has all the features and more that you would expect from a hobby grade model including double aluminium oil filled shocks on each wheel, working differentials, aluminium parts used where needed including aluminium central drive shaft, slipper clutch and advanced servo saver. The truck is designed for off road action with increased ground clearance, advanced suspension, over-sized wheels and high torque gear ratio. 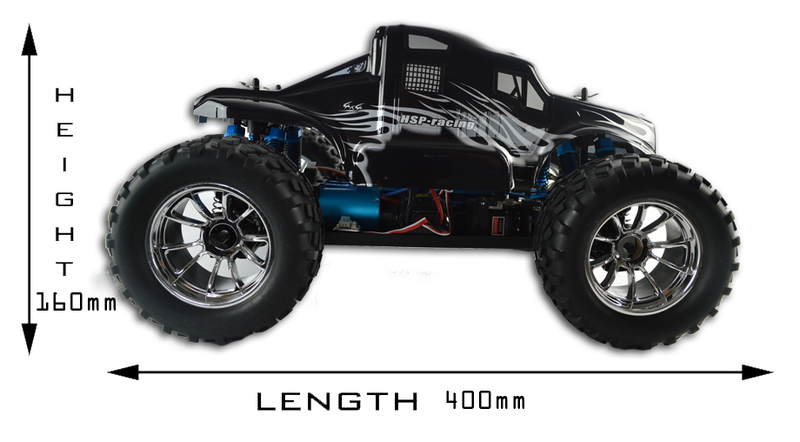 The PRO monster truck comes with a beefy big rig monster truck shell. 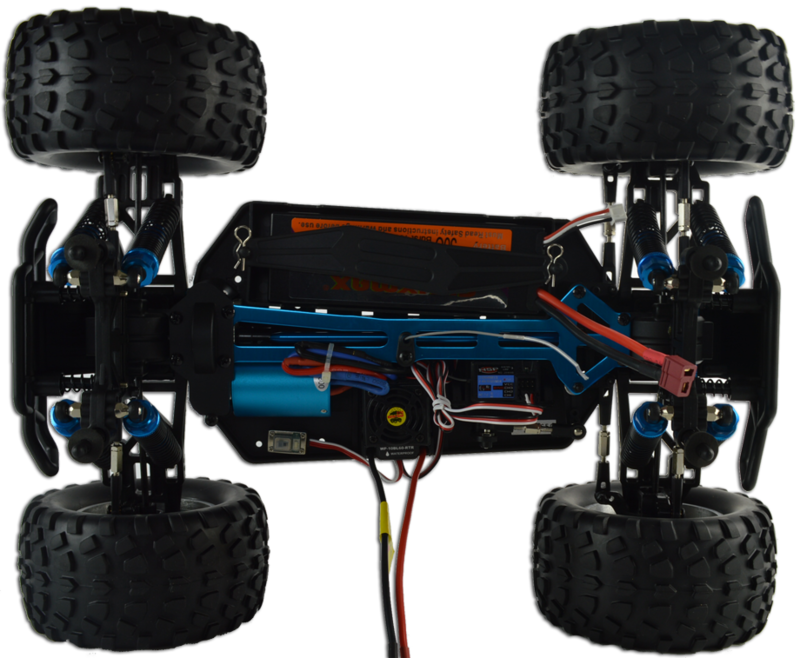 The radio controlled truck comes ready to run, all you require are 8 standard AA batteries for the 2.4GHz transmitter and you are ready to go. 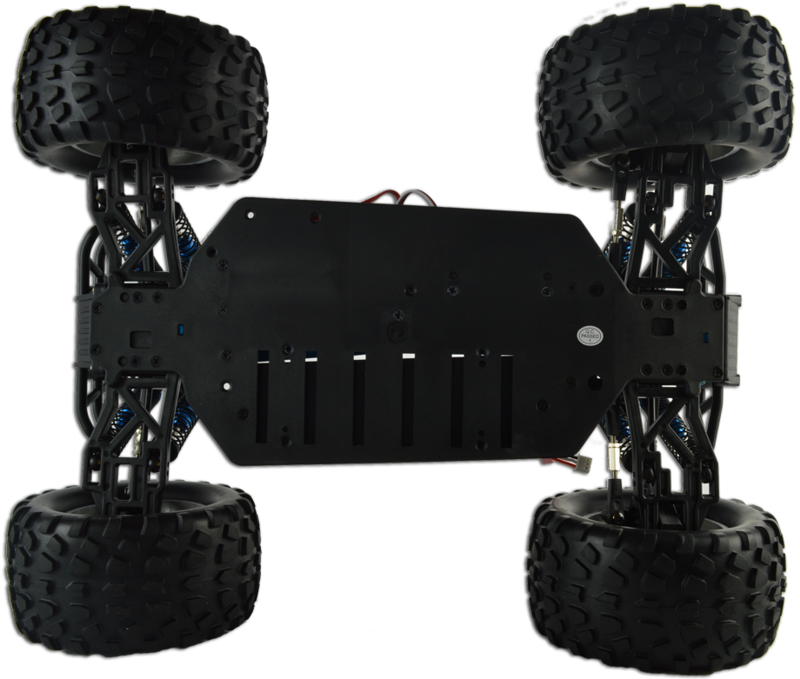 A sturdy chassis featuring counter sunk screws for a flush surface. The truck measures 400mm x 160mm x 300mm (length, height, width). 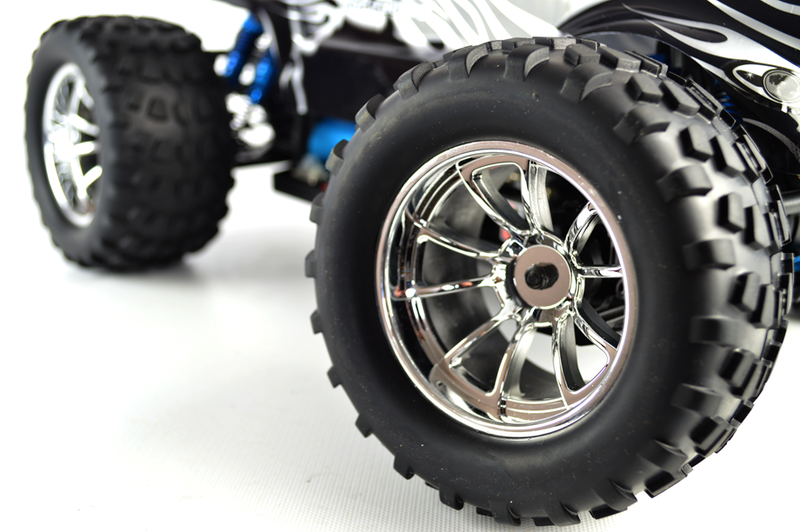 Each wheel has twin oil-filled aluminium shocks to give extra monster truck suspension. 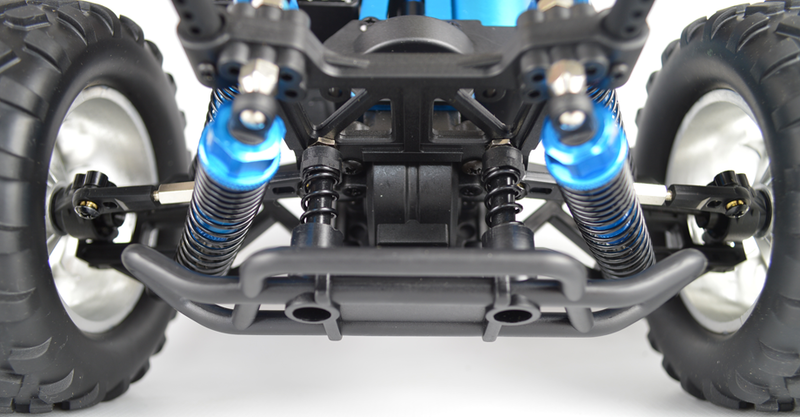 The angle and tension of the shocks is adjustable. 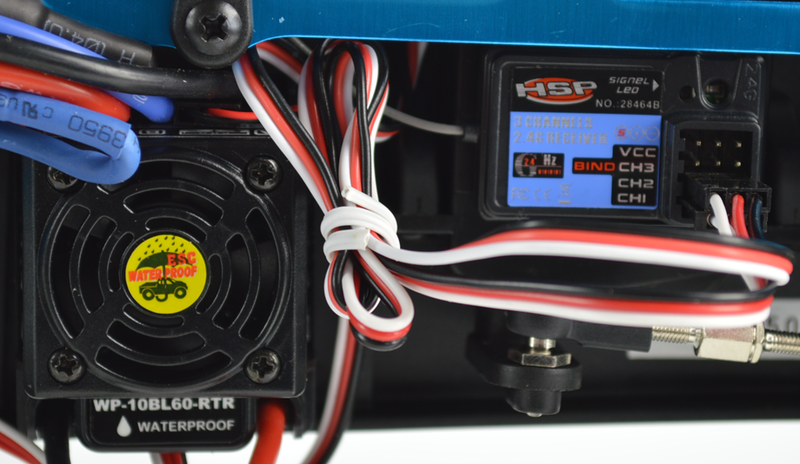 The brushless setup is much faster than standard brushed. 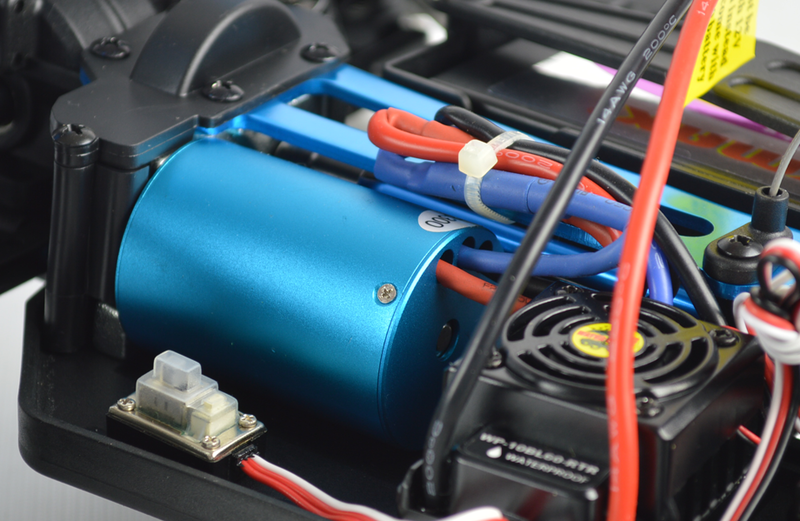 The ESC features its own cooling fan to keep it operating at peak temperature. Includes a powerful lithium polymer battery pack to take full advantage of the brushless motor and make the model extremely fast. Hello - thank you for your question. Unfortunately we do not have a recorded top speed for this model however I can confirm the brushless model is significantly quicker than the brushed version. We recommend the brushed version for less experienced users as oppose to the brushless version which we would recommend for more experienced users.